What level of play does your Football skill set match up? 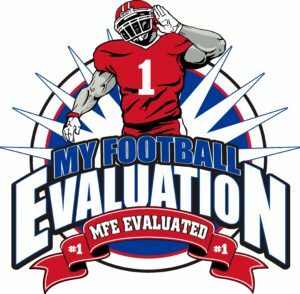 Thank you for your interest in what we do at My Football Evaluation. We are dedicated to helping high school football players and their families prepare for the Recruiting Process. 1) Travel Costs = Summer Camps and Winter Combines are an important part of the Recruiting Process. So are Unofficial Visits to college campuses. Some of these may involve extensive travel and overnight lodging. Paying for fuel, food and lodging can be expensive. *Do you agree that knowing which camps, which combines and which schools you should be going to is important? Knowing this alone can save you hundreds if not thousands of dollars. 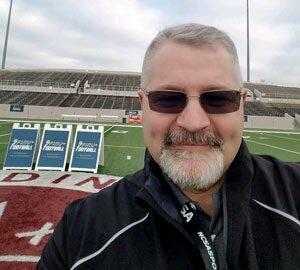 2) Recruiting Services = There are several companies out there that charge a hefty fee to help high school football players get exposure and get recruited. We believe in a “Do it YOURSELF” approach. *Do not spend thousands of dollars. 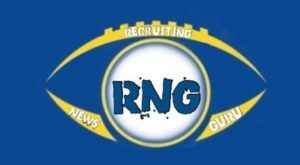 We will provide all you need for your individual recruiting journey! Remember, this is YOUR journey, TAKE CONTROL! 3) Camp Costs = There are different types of Camps. There are specific position Skills Camps. There are Regional Camps that are part of a National Series of Camps that can provide valuable exposure and there are One Day College Camps or Showcases. Each of these camps can be very instrumental in your success. They all cost money to attend. *Do you know which of these camps are the most important for you? Research, target and develop a relationship with a college coach then choose camps that advance your exposure and recruitment is our model! 4) Personal Coaches and Trainers = They can help you get bigger, faster and stronger. They can help you improve in the skill sets for your position. These guys can be very instrumental in helping you get to the level you need to be at to get recruited. This can be expensive and time consuming. *Do you know what areas you need to improve in to play at the college level? Our MFE Level of Play Index will provide you 3 lanes to begin your research and game plan! 5) College Coach Communication = If you want to be recruited you need to communicate with college coaches. This involves emailing/ / calling / texting / DM on Social Media, etc. This is very time consuming. *Do you want to waste your valuable time reaching out to the wrong schools and coaches? These are the reasons why you should be professionally evaluated before you spend money on anything else. Find out which Division Level of College Football you are best suited for. We will look at your size, speed, athletic ability, skill sets, instincts, football IQ, work ethic and level of competition you are playing. We will take these components and prepare a complete player evaluation for you and unique MFE Level of Play Index! Don’t waste any more time or money. Take the first step on your way to recruiting success!